Winemakers in New Zealand are hailing the 2013 vintage as ‘one of the best in history’, with a record harvest 28% bigger than last year’s crop. 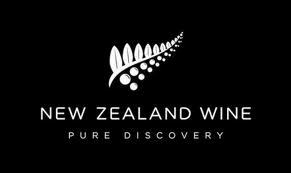 New Zealand Winegrowers CEO Philip Gregan described the summer as ‘outstanding’ with ‘near-perfect conditions for growing grapes’. Nearly 350,000 tonnes of grapes were harvested in 2013, a record volume up 5% on 2011 and 28% bigger than last year’s small crop, which left New Zealand short of wine to feed its expansion plans. Key region Marlborough and key grape variety Sauvignon Blanc both had good years, with volumes up 33% and 26% respectively, while the Pinot Noir crop was 36% bigger than in 2012. Ready to taste the first wines of 2013? While vines are just flowering in Europe and North America, the Southern Hemisphere has picked, crushed and fermented this year’s crop. South African grapegrowers enjoyed a wet winter, meaning healthy yields, followed by a dry, warm summer. But rain during harvest made picking anxious at times. Here’s a sneak peek at the upcoming vintage. Check out Wednesday’s report on Australia and New Zealand and Thursday’s on Argentina and Chile. London’s wine merchants were delighted on Thursday morning to get a preview of Dom Perignon 2004 – as one said, ‘Finally, something we can sell’ after the lacklustre Bordeaux en primeur campaign. Indeed, Gareth Birchley of Bordeaux Index told Decanter.com they sold 3000 six-bottle cases within the first few hours of the morning – a repeat of their instant sell-out of the Dom Perignon Rosé 2002, which was released in January. Buyers were ‘predominantly from the UK,’ Birchley said. ‘It’s by far our biggest market for prestige Champagne.’ He added that they were expecting such a demand. Vincent Chaperon, Dom Perignon’s chief oenologist and second in command to chef de cave Richard Geoffroy, was in London this morning for a ‘soft launch’ of the 2004 vintage to wine merchants. Moet & Chandon, a French champagne house and co-owner of the luxury goods company Moët-Hennessy Louis Vuitton (LVMH), has rolled out the 2004 vintage of Dom Perignon. 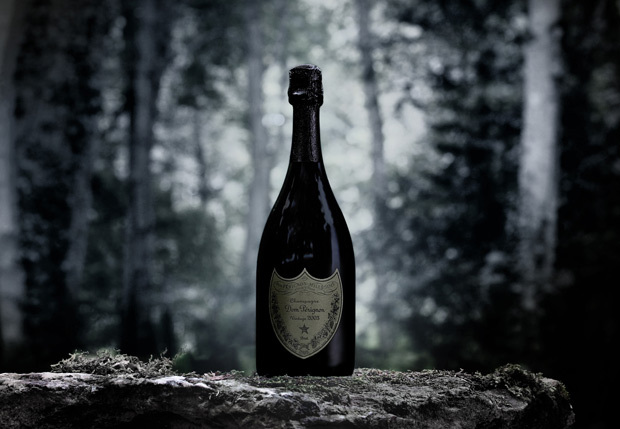 The first vintage of Dom Perignon was produced in 1921 and since then the company has released 40 Dom Perignon till 2004. The 2004 wine possesses aromas of almond and cocoa on the nose and white fruit with hints of dried flowers, toasted notes and round finish, reported Harpers. 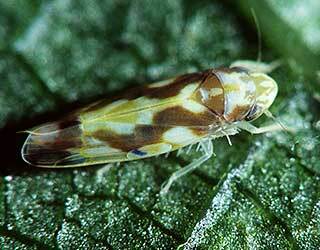 North Coast wine grape growers in Mendocino and Sonoma counties are on the lookout for a new, damaging pest that snuck into several vineyards last season and caused considerable damage: the Virginia creeper leafhopper. Despite bud break that started a week or so later than usual and two frost events in the middle of the month, new shoots in the wine grape vineyards along the northern California coast had pushed out 6 inches and were growing fairly rapidly in the waning days of April. Weather has been mostly ideal and temperatures were a warmer than normal, reports Glenn McGourty, University of California Extension viticulture advisor for Lake and Mendocino counties. Bud break in Chardonnay and Pinot Noir blocks began the first of April. Should the warm temperatures hold, he expects Chardonnay vines to be back on track to start flowering on time around May 20. A passing cold front in mid-April sent temperatures down as low as 28 degrees in the coldest spots of Potter Valley and Redwood Valley. However, McGourty received no reports of damage. “Growers kept on top of things with their frost protection,” he says. To mitigate the impact on endangered salmon and steelhead in diverting water from the Russian River and its tributaries, many growers in the river’s watershed in Mendocino and Sonoma counties have built ponds and reservoirs to store rainfall runoff for frost protection and irrigation use. Although precipitation since the first of the year has been light, heavy rains last fall and early winter, have filled these off-stream storage facilities. Since July 1 of last year, the two-county area has received an average of 27 inches of rain. Only 5 inches have fallen since the first of January. Normally, from July 1 through the following mid-May, Ukiah, Calif., in Mendocino County records about 35 inches of rainfall. Temperatures in the 70 to 85-degree range through much of April were ideal for growth of the powdery mildew. To control it, growers have been spraying their vineyards with wettable sulfur, stylet oil or other fungicides. 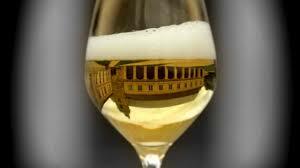 South African wine exports to reach now high in 2013. South African wine exports are poised to beat their 2012 record this year following high yields and on demand for premium vintages from North America and Asia, industry executives and growers said. Wine exports rose to 469 million liters (124 million U.S. gallons) in the year ending April 30, up 25 percent from the previous 12 months and more than triple the total shipped in 2000, data from the Wines of South Africa trade body, or WOSA, show. Bulk shipments rose 53 percent while those of bottled and packaged wines fell 5 percent, as large producers bottled more in export markets. Although wine has been grown in South Africa since Dutch settlers arrived in the 17th century, the country was cut off from trade during the apartheid era of racial discrimination, which ended in 1994 with the first all-race elections. Two decades on, exporters are seeking to consolidate in established markets such as the U.K. and Germany while boosting sales in Asia and Africa. A wet winter meant plenty of underground water, helping to boost yields in 2013, according to Su Birch, Chief Executive Officer at WOSA. Yields at the 2012 harvest rose to 14.13 metric tons per hectare (2.471 acres), the highest for at least six years, and probably climbed to about 14.90 tons this year, according to estimates based on preliminary data from WOSA. Undersupply replaced a decade-long era of oversupply with autumn 2012’s harvest and the inevitable prices hikes will hurt the entry-level market. Meanwhile global demand continues to rise. TWEETS OF the “OMG! 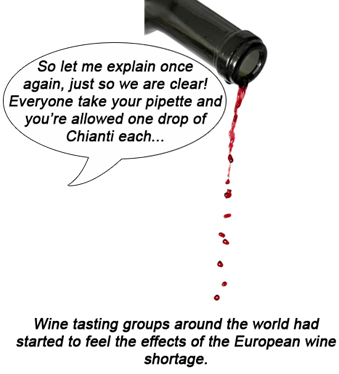 We’re going to run out of wine!” variety greeted reports in the autumn of 2012 that grape harvests in the Northern Hemisphere had widely fulfilled predictions of shortfalls across a sweep of major wine-producing regions. This compounded earlier Southern Hemisphere shortfalls at a time when global consumption is growing. Without question, the headline figures made for sobering reading, especially after a decade or more of oversupply being the norm. As 2012 European harvest volumes were confirmed, the International Organisation of Vine and Wine (OIV) estimated that total global output had fallen from 264.2 million hectolitres in 2011 to 248.4m hl in 2012, representing the lowest level since 1975, when the body began tracking these figures. Damien Le Sueur, director of production for Taittinger, has led the praise, declaring that “what seems clear about 2012 is that it meets all the requirements to be a great vintage”. Le Sueur told Harpers that his own team’s sense of anticipation dated back to the harvest. “At the end of September, we really had great expectations. In tasting after tasting, we discovered that the ‘vins clairs’ were beautiful. From its first vintage 15 years ago, Durbanville Hills Wines, which is located on the Tygerberg Hills and overlooks Table Mountain and Table Bay, has produced some of the best received super premium wines in the country. Cellar master Martin Moore, who was appointed in 1998 when the cellar was still in the early stages of construction, reminisces fondly of the first vintage and the memorable wines produced in 1999. “When the first grapes were delivered to the presses, work had not even started on that part of the building which today houses the maturation cellar, restaurant and wine-tasting area. “But regardless of the challenges both the Luipaardsberg Merlot and the Biesjes Craal Sauvignon blanc from our first vintage received double gold at Veritas while the Durbanville Hills Chardonnay was awarded gold. During that first vintage just over 3 000 tons of grapes were pressed. Within a few short years production moved up to reach the cellar’s full capacity of 8 000 tons,” says Moore. Durbanville Hills has over the years become particularly known for its top-quality Sauvignon blanc, due also to the cool-climate location of its production units which all enjoy ideal conditions for growing this cultivar. “During the summer months and then mostly in the late afternoon, the southeaster , blows off False Bay over the Cape Flats, bringing with it cool, moist air. The wind is surprisingly cold as it comes sweeping over the contours of the hills, cooling down the vineyards even on the hottest day. And when the southeaster is not blowing, a westerly wind coming off the cold Atlantic produces the same results,” says Moore. Sauvignon blanc is represented across the cellar’s three wine ranges. All of them regularly receive awards at national and international competitions. Although the wines can be enjoyed immediately, the winery’s Sauvignon blancs are known for their longevity, with the Biesjes Craal in particular lasting for up to ten years. The wines are available from the cellar and leading liquor outlets and retail for about R52 in the case of the 2012 Durbanville Hills Sauvignon Blanc and R85 for the 2012 Rhinofields Sauvignon Blanc while you should expect to pay about R115 for the 2012 Biesjes Craal Sauvignon Blanc.